A couple of weeks ago, there was a thread going around Facebook asking people to name 15 albums that were important in their lives in 15 minutes or less. I wanted to add my own, but I couldn’t do it. Rather than list the first 15 records that I really liked off the top of my head, I wanted to take some time to really think about it and get it right. Yeah, I know the spontaneity was kind of the point, but it’s just how I’m built when it comes to talking about music. Note that this list does not represent my 15 “favorite” records. While a few of these would certainly make that list, there are a few here that I haven’t listened to in their entirety for years. These are records that, in some way, shaped my musical tastes and led me to being the hack music writer that I am today. I’m also not going to spring any high-falutin’ records on you in this list. I hate it when people start digging out obscure records to show how cultured they are and how much more refined their tastes are than yours. Some of these choices are quite shallow and superficial, but they’re truly what my musical tastes are built on. It is what it is, and if you don’t like it, well … use your imagination. 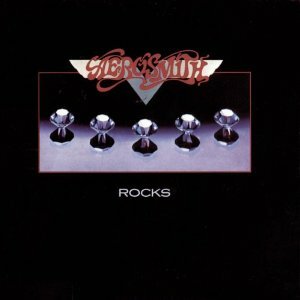 Aerosmith, "Rocks" (1976). I first discovered Aerosmith as a young kid, riding around in the car with my teenage aunt in the 1970s. I rediscovered them in the 1980s, slightly before their resurgence, and this is the record that made them my favorite band. It’s solid from top to bottom, without a bad song. While most people would point to "Toys in the Attic" as the band's best record, "Rocks" wins hands down in my book. In fact, in my opinion, it may be the greatest rock record of all time. Black Sabbath, “Paranoid” (1970). I really wanted to put “Sabotage” instead, it being my favorite Sabbath record, but I have to admit that “Paranoid” had the bigger impact. I still remember riding around with a friend when I was 13 or 14 and hearing “War Pigs” for the first time. The last verse was just about the most evil, wicked, cool thing I’d ever heard at the time. Though I was already an Ozzy fan when I heard it, I wasn’t familiar with Sabbath. It didn’t take long for me to catch up. Johnny Cash, “American Recordings” (1994). When this record came out, country music was dead to me. Sure, I still had my Hank Jr. and Charlie Daniels records, but I wasn’t interested in Garth Brooks and the majority of what was being played on country radio at the time (some things never change). But when I heard “Delia’s Gone,” for the first time, on MTV of all places, I was captured by the raw darkness of the song. It didn’t hurt that there was a Danzig-penned song on the record (“Thirteen”) or another version of a childhood memory (“Tennessee Stud”). But the record showed me an honesty that I wasn’t finding in country music at the time and led me to rediscover both older artists like Cash, Waylon Jennings, Willie Nelson and others, and seek out a new breed of underground country singers doing the same thing. 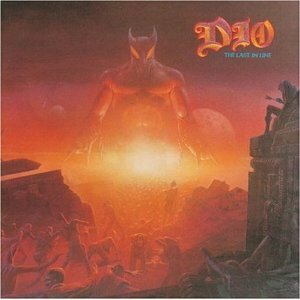 Dio, “The Last in Line” (1984). I’m a little embarrassed to admit it, but I got my introduction to the late, great Ronnie James Dio after stealing this cassette from a friend’s house at a tender age. It was my first move away from the popular hard rock/metal getting some radio play at the time and into more of the underbelly of the music. Certainly, no one today would consider Dio “underground,” but at the time, where I lived, you had to do some searching to find bands like Dio, Priest and Maiden. King’s X, “Gretchen Goes to Nebraska” (1989). The diversity and talent on this record blew me away the first time I heard it. There was the hard rock of "Over My Head" which initially drew me to the record, but also funk, soul, gospel and probably a few other styles paired up with incredible Beatles-esque vocal harmonies. 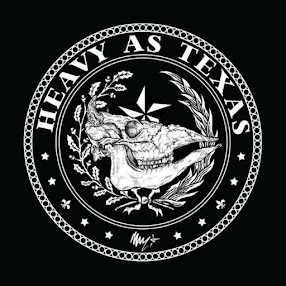 It was my introduction to progressive and the more artsy forms of hard rock, and for me, remains their best record in a catalog full of good records. Metallica, “Kill ‘Em All” (1983). As a kid, I was first attracted to the record by the cover with the pointy logo and bloody hammer. While not nearly as refined as the records that would define Metallica later in the decade, the raw energy and ferocity of the record, which in places is as much punk as metal, still has a great appeal to me. It was the first time I’d heard songs that didn’t necessarily follow “the rules." It's often gnarly and ugly, but powerful all the same. Motley Crue, “Shout at the Devil” (1983). This was another one of those formative records that came out right around the time that my musical tastes were developing. Coming from the buckle of the Bible Belt, I thought it was absolutely sinister. I would listen to it quietly to keep my parents from hearing the “satanic” lyrics (not that they would have been able or cared to decipher most of them anyway). In retrospect, this record’s pretty harmless and it’s kind of funny now. Still one of my favorites, though. Ozzy Osbourne, “Diary of a Madman” (1981). Simply put, this is the record that made me want to pick up the guitar. I still believe that it’s Ozzy’s finest moment post-Sabbath, wand the only Ozzy solo record without a piece of filler to be found anywhere. Though it was more rushed than "Blizzard of Ozz," Randy Rhoads' guitar work is still stunning. The solo from “Over the Mountain” remains my favorite ever, even though after years of trying, I’ve never quite nailed it. Queen, “Sheer Heart Attack” (1974). I still love Queen’s first couple of records with their fantasy themes as well as the bigger hits that came later, but it was hearing this record (much later, of course) that cemented my status as a Queen fan. The diversity on the record still amazes me with great hard rock, some pop, some lounge-type stuff and, naturally, “Stone Cold Crazy,” a prototype thrash song (later turned into a real thrash song by Metallica with very little tweaking.) It’s an incredible record, and if you don’t own it, you should. 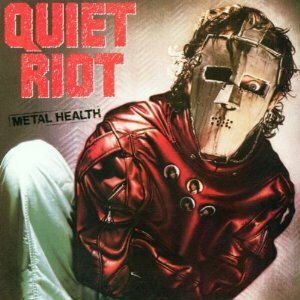 Quiet Riot, “Metal Health” (1983). This is where it all began. I caught sight of the LP version of this record in Walmart with my family at the age of 11. I loved the title, I loved the band name, and I thought the cover was super cool. I’d never heard the band before, but I had to have it. Luckily for me, I actually liked the record. Quiet Riot became my first “favorite band” and held the crown for several years -- up until the release of the overly poppy "QRIII." Savatage, “Hall of the Mountain King” (1987). As a kid, I didn’t have a lot of money to buy music, so I depended a lot on those discount compilation records that were popular in the 1980s. It’s how I discovered a ton of music. I had one, probably my favorite, called “Power Metal,” that was full of music by bands that I later came to love. Perhaps the biggest thing that I have to thank that compilation for, though, is including the title track from this record. From the thunder and lightning in the beginning to that huge slicing riff and Jon Oliva’s snarls and evil laughs, I wore the tape out listening to the song over and over. As soon as I could, I picked up this record, and Savatage remains one of my favorite bands to this day. Steppenwolf, “16 Greatest Hits” (1973). This is a little bit of a cheat seeing as it’s a greatest hits compilation, and something of a strange choice. You see, I like Steppenwolf, but I’m not a huge fan. However, this record stands out for me because of what it represents. It was such a rare thing for me to have a musical connection with my dad. We were on completely different wavelengths. For him, if it wasn’t country, it wasn’t music. So I was somewhat stunned to discover, while listening to this record one day, that my dad had actually seen them in concert in the late 1960s. By the time I discovered them, of course, he had moved on and didn’t really care for them anymore. So it’s not like we jammed “Born to Be Wild” together at any point, but I still feel a connection there. Hank Williams Jr., “The Pressure is On” (1981). It’s Not Hank’s best record, but I spent a lot of time listening to it in my parents’ car as a kid, and I still remember not only the big hits, but a lot of the album cuts, as well. It goes without saying that I still love “A Country Boy Can Survive,” but I also have fond memories of singing along to his version of “Tennessee Stud,” the novelty tune “The Coalition to Ban Coalitions,” and “The Ballad of Hank Williams,” which seemed deliciously scandalous to me as a kid because of its smattering of relatively mild profanity. ZZ Top, “Deguello” (1979). The transitional record between the little old band from Texas’ blues rock roots in the 1970s and their commercial glitz in the 1980s, “Deguello” was my introduction to the band and Billy Gibbons, the man with the best tone in the business in my opinion.